This topic contains 4 replies, has 3 voices, and was last updated by G 3 years, 2 months ago. I think got banned because I refresh pages a lot to get credits, but I did this 30 minutes before I created my server. 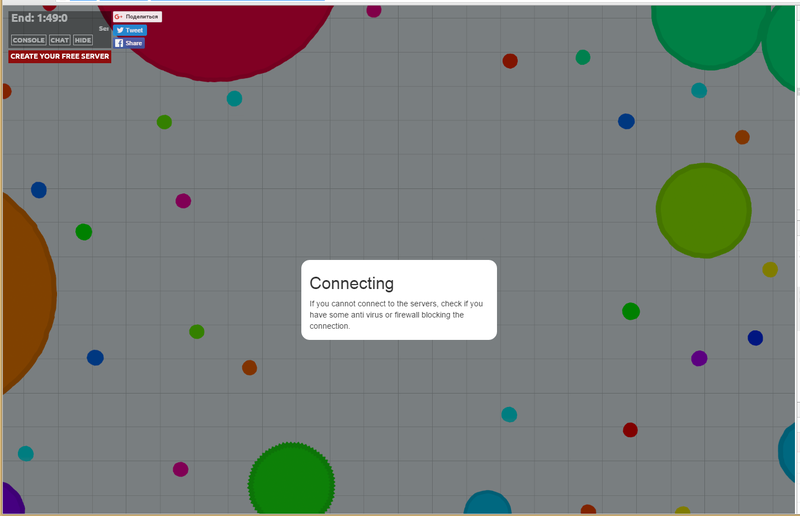 I cant join mine either…Mine just shows a white screen with the console chat & Hide buttons. This could not be the reason because site’s timed ban does not ban from the game page. Firewall maybe? On news Agarserv network diagram you said there’s a firewall which tries to mitigates DOS attacks and DDOS, maybe when my bots are joining because the high network bandwidth at that point it considers it a DOS attack and blocks it. OK, so making 200 bots join the server from DIFFERENT IP bans my ip for some time. I think bot’s have 2 IP’s: first one is what OGAR (server software you’re using) reads and it can’t block bots. Second IP is my ip and is used to ban me.